SYTYA: So you think you’re adaptable? Over the last few years, if there was one buzzword that continues to pop up in my life, it would be any word incorporating the word, “adapt.” Merriam Webster defines the verb “adapt” as “to change your behavior so that it is easier to live in a particular place or situation” and “to change (something) so that it functions better or is better suited for a purpose.” What did you learn through travel? To adapt. What must an event manager do? Adapt. What makes a good leader? The ability to adapt. What is an ideal JET Programme participant? Adaptable to change. What’s something that’s been constant in my life? Change. My first international move came as a toddler in tow thanks to my dad’s job transfer to the Tokyo area. I moved back to the US only a couple years later and the next big move did not come until that glorious little time known as the middle of high school. In between, my understanding of change inadvertently came via my observation of military changes of command and the rotation of new students in my classes and families new to my area. However, at 16, I suddenly found myself on the opposite side of the country without any friends. Subconsciously, this pushed me to go from being the more shy, observant kid to an outgoing teenager excited about meeting new people in the Great Pacific Northwest. My college years brought learning opportunities at two universities, a summer job at a third, and study abroad. Seven years and a trifecta of immigrant-expat-emigrant experiences later, the need to adapt has become ingrained, or so I think it has. With all of this moving around, it should come as no surprise to say that I thought I was more adaptable than most. The experiences I wanted to have simply required the ability to do so. Yet, have I become complacent? In a recent meeting, someone said to me, “I consider myself pretty adaptable. I mean, everyone likes to think they are.” This struck me to the point of reflecting on my own ability to adapt – my perception of it, how long it “took” in certain locations, what roles others played in it, and of course, what helped me throughout each process. While there has and continues to be a series of transitions, each forms part of my ever-evolving journey. Each has also resulted in a different “adjustment period”. Looking back, feeling comfortable in the Seattle area and making solid friends took about 6 months, the UK took slightly longer due to a hectic schedule, and I am still settling into life in Italy after nearly 8 months. College life never felt like a challenge to adapt to and Japan remains an anomaly: A couple months in and it was apparently obvious to others that I’d be staying there at least three years. What factors have contributed to these differences? Location/accessibility. Social circles. Work obligations. Language. Academic responsibilities. Existing support networks. Leisure opportunities. All of these pieced together the puzzle of individual environments in which I found myself. In turn, feelings of comfort and ease, brought about by learning, morphed into convenient lifestyles that required a lesser ability to adapt – for a certain amount of time at least. It is reasonable to think that this may have adversely affected my ability to adapt to subsequent changes. For example, did my struggle to acclimate to life in the UK stem from the length and comfort of my time in Japan? Perhaps. I also surmise that my former frustrations were a product of an original resistance to fostering different types of social circles compared to those I previously enjoyed in both the US and Japan. Once I realized the avenues that best fit me in terms of branching out, establishing connections, and creating positive experiences for myself and others, I thrived. But it was not without disenchantment and loneliness at times. Contrarily, was I as adept at adapting to my environment in Japan as I remember? I’d argue yes. 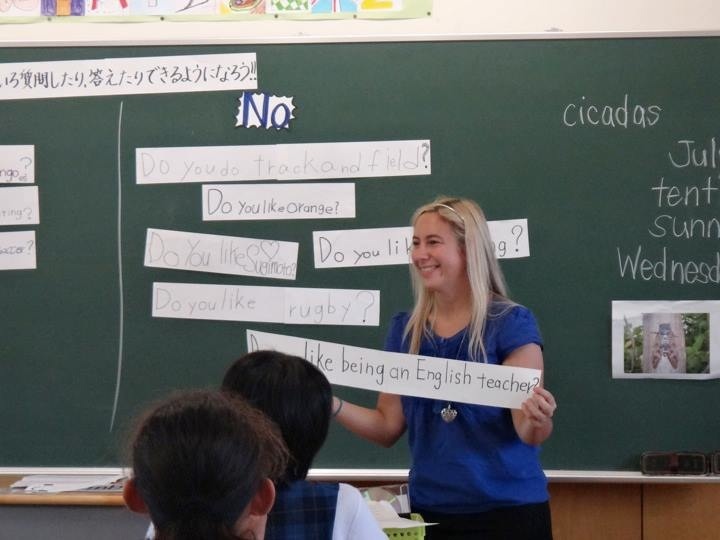 Although I was at first shocked to see that I was fairly unusual in moving to Japan without any sort of Japanese language or cultural knowledge, I was eager to learn and embraced any and all chances to get involved. Whether it was with my own students, my non-Japanese peers, or the Japanese university students who gave me weekly Japanese lessons, I was into it and my enthusiasm grew. This developed into a passion for helping other JET participants adjust to the Japanese lifestyle and working to make their experience in The Land of the Rising Sun the best it could possibly be. In considering both of my experiences in Japan and the UK, there is one major thing in common: “I failed to see the forest through the trees.” When I was floundering in the UK, I disaregarded all of the things I’d been successful at there. Things such as understanding the UK academic system, having patience with National Rail services, figuring out what my NHS health coverage really meant, living with flatmates from five different countries and the like, were ignored. We drown ourselves in the daily irritations and neglect to give ourselves enough credit for our victories, no matter how small or large they may be. In Japan, my love for being on-the-go caused me to forgo an appreciation for what I had accomplished. An ability to pause and soak in the present more would have served me well here. Conclusions? Our ability to adapt is itself something that changes with the circumstances. I don’t think I can point at my colleague Peter and say, “He’s not very adaptable.” Rather, he displayed a better ability to adapt some of the time and a lesser ability at other times. Have I been more adaptable in given situations compared to others? Absolutely. Is that wrong or bad? Neither, it’s just part of the story. Without the challenges I encountered, I would have never learned what suited me and what could still suit me along the way. If you are swimming in anything similar I urge you to do two things: 1) Keep experimenting to discover habits that empower you to absorb new experiences while still being true to yourself and honest about your needs. 2) Acknowledge yourself for your achievements in adapting to change the way you have so far. I guarantee you’re doing better than you think! “Our ability to adapt is itself something that changes with the circumstances.” -Sono MOLTO in d’accordo!!! It is funny to me that despite many cultural adaptations (or even just transitions), it doesn’t necessarily get easier for me. I find it to be much about expectations – I expected Namibia to be REALLY TOUGH and it was but it was relatively manageable because I expected it. I expected southern Italy to be LA DOLCE VITA, the “West,” especially after “Africa” – yet was probably the hardest of any. India is tough for me but I was never there for longer than 6weeks. Many times our expectations are not commensurate with reality, so we may end up setting ourselves up for success or failure long before the dye is cast. Change is a constant and those who manage change with strategies that are healthy and at the same time rewarding, will thrive. The oft quoted phrase “Life is like a box of chocolates, you never know what you are going to get” could not be more ‘spot on’. What is always helpful when change occurs is to focus on what we have control over [ultimately only ourselves] and use that force to allow us to successfully maneuver ever-evolving and new life experiences. Letting go of ‘control’ in and of itself is a challenge that many times holds us back from being all that we can be and encouraging others to be all that they can be. Adaptation is what has allowed this home we call Earth to continue to exist.